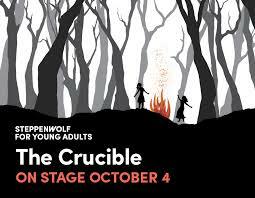 Kicking off the 2017-2018 Steppenwolf for Young Adults (SYA) season is Arthur Miller’s The Crucible, directed by Jonathan Berry. Steppenwolf Education presents this American classic as part of the SYA season which asks, “When does a lie become the truth?” Public performances for The Crucible are Saturday, October 7 at 3pm and 7:30pm; Sunday, October 8 at 3pm; Friday, October 13 at 7:30pm; Saturday, October 14 at 3pm and 7:30pm; and Saturday, October 21 at 3pm and 7:30pm in the Downstairs Theatre. The press performance is Saturday, October 7 at 3pm. Weekday performances are reserved for school groups only. Tickets to public performances ($20; $15 with student I.D.) are currently on sale through Audience Services (1650 N Halsted St), 312-335-1650 and steppenwolf.org. 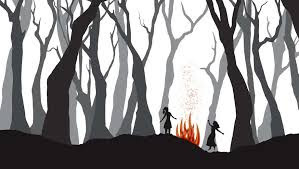 The people of Salem are whipped into a bloodthirsty frenzy by a series of escalating misinterpretations after a group of teenage girls are accused of dancing devilishly in the woods. Fearing retribution, the girls begin a chain of finger-pointing until neighbor turns against neighbor, whispers become testimony, fabrications become facts, and a once powerless teenage girl suddenly has the ability to decide the fate of all those around her. As the hearts of the townsfolk become poisoned, even John Proctor, a principled farmer and family man, must wrestle with a corrupt court and his own transgressions to protect his innocent wife and his family’s good name. Since its premiere in 1953, Arthur Miller’s The Crucible, a masterful and chilling portrayal of the historic Salem Witch Trials and an allegory for the rise of McCarthyism in the late 1940s, has rightfully become an American classic serving as both a cautionary tale and provocation that compels each generation to reflect upon the harrowing world it portrays. Jonathan Berry joined the Steppenwolf staff as Artistic Producer and Director of The School at Steppenwolf in June 2015. A prolific director, he began his work in Chicago as Steppenwolf’s Artistic Office intern in 1998, and has continued a strong relationship with the company since. His Steppenwolf directing credits include Nick Payne’s Constellations, Melinda Lopez's Gary for First Look and A Separate Peace for Steppenwolf for Young Adults, as well as assisting on The Weir, The Man Who Came to Dinner, Mother Courage and Her Children and This is Our Youth. Since 2009, Berry has taught Viewpoints for the School at Steppenwolf. A company member of both Steep and Griffin Theatres, Berry has also directed for many Chicago companies, including Goodman Theatre, Steep, Griffin, Remy Bumppo, Redtwist, Lifeline, and The Gift. The cast features Echaka Agba (Tituba/Judge Hathorne), Larry Baldacci (Giles Corey/Sarah Good), Taylor Blim (Mary Warren), Naima Hebrail Kidjo (Abigail Williams), Erik Hellman (Reverend Hale), Millie Hurley (Francis Nurse/Rebecca Nurse), Travis Knight (John Proctor), Peter Moore (Reverend Parris), Avi Roque (Ezekiel Cheever/Mercy Lewis), Stephanie Shum (Ann Putnam/Susanna Walcott/Martha Corey), Michael Patrick Thornton (Deputy-Governor Danforth), Kristina Valada-Viars (Elizabeth Proctor/Betty Parris) and Philip Winston (Thomas Putnam/John Willard). The Crucible production team includes Arnel Sancianco (scenic design), Izumi Inaba (costume design), Lee Fiskness (lighting design), Kevin O’Donnell (sound design & original music) and Christina Gorman (fight choreographer). Other credits include Artistic Director Anna D. Shapiro (artistic producer), JC Clementz (casting director), Michelle Medvin (stage manager) and Kathleen Barrett (assistant stage manager). Steppenwolf is located at 1650 N Halsted St near all forms of public transportation and is wheelchair accessible. The parking facility consists of both a covered garage ($11 cash or card) and an open-air lot, located just south of our theater at 1624 N Halsted. Valet parking service ($14 cash) is available directly in front of the main entrance at 1650 N Halsted St starting at 5pm on weeknights, 1pm on weekends and at 12 noon before Wednesday matinees. Street and lot parking are also available. For last minute questions and concerns, patrons can call the Steppenwolf Parking Hotline at 312.335.1774. Major support for Steppenwolf for Young Adults is provided by Allstate Insurance Company, Alphawood Foundation, Paul M. Angell Family Foundation, the Polk Bros. Foundation and United Airlines. Steppenwolf for Young Adults is also supported in part by contributions from The Crown Family, Lloyd A. Fry Foundation, Northern Trust Company, Field Foundation of Illinois, Dr. Scholl Foundation, the Helen Brach Foundation, ITW Foundation, Siragusa Foundation, Colonel Stanley R. McNeil Foundation, Citi Private Bank and Robert and Isabelle Bass Foundation, Inc; as well as Steppenwolf Associates, a community of dynamic young professionals. Steppenwolf Education is a citywide partner of the Chicago Public Schools (CPS) School Partner Program. Steppenwolf Education’s unique approach combines play production with educational components to enhance arts education for young audiences, as well as their teachers and families. Every season Steppenwolf for Young Adults creates two full-scale professional productions specifically for teens. Working closely with the Chicago Public and metropolitan area schools and other community partners, Steppenwolf’s Education department annually ensures access to the theater for more than 15,000 participants from Chicago’s diverse communities. The initiative also includes post-show discussions with artists; classroom residencies led by Steppenwolf-trained teaching artists in almost 100 classrooms in public high schools; professional development workshops for educators; and the Young Adult Council, an innovative year-round after-school initiative that uniquely engages high school students in all areas of the theater’s operations, as well as other teen and community based programs. Steppenwolf Theatre Company is the nation’s premier ensemble theater. 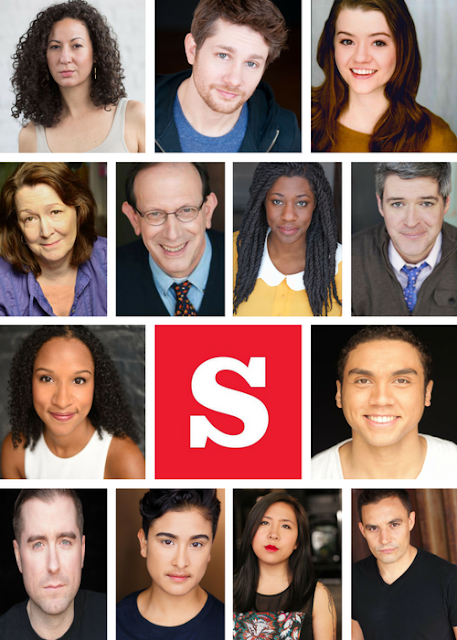 Formed by a collective of actors in 1976, the ensemble has grown to 49 members who represent a remarkable cross-section of actors, directors and playwrights. Thrilling and powerful productions from Balm in Gilead to August: Osage County—and accolades that include the National Medal of Arts and 12 Tony Awards—have made the theater legendary. Steppenwolf produces hundreds of performances and events annually in its three spaces: the 515-seat Downstairs Theatre, the 299-seat Upstairs Theatre and the 80-seat 1700 Theatre. Artistic programing includes a seven-play season; a two-play Steppenwolf for Young Adults season; Visiting Company engagements; and LookOut, a multi-genre performances series. Education initiatives include the nationally recognized work of Steppenwolf for Young Adults, which engages 15,000 participants annually from Chicago’s diverse communities; the esteemed School at Steppenwolf; and Professional Leadership Programs for arts administration training. While firmly grounded in the Chicago community, nearly 40 original Steppenwolf productions have enjoyed success both nationally and internationally, including Broadway, Off-Broadway, London, Sydney, Galway and Dublin. Anna D. Shapiro is the Artistic Director and David Schmitz is the Executive Director. Eric Lefkofsky is Chair of Steppenwolf’s Board of Trustees.